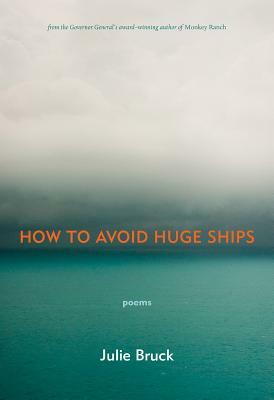 How to Avoid Huge Ships, Julie Bruck's fourth collection of poetry, is a book of arguments and spells against the ambushes of age. This is, of course, a pointless exercise with a rich history. Bruck's new poems excavate a middle zoneas old parents wither and regress, while the young declare their independence. Parents grow down, children up, and it's from the uncomfortable in-between that these poems peer into what Philip Larkin describes as "the long slide." But what if we haven't reached the end of the infinite adolescence we thought we'd been promised? We're still here in this world of flying ottomans, alongside a middle-schooler named Dow Jones, and the prehistoric miracle of a blue heron's foot. We may be afraid, but we're still amused--sometimes, even awed.